Having a great guitar setup improves the playability & functionality of your guitar. 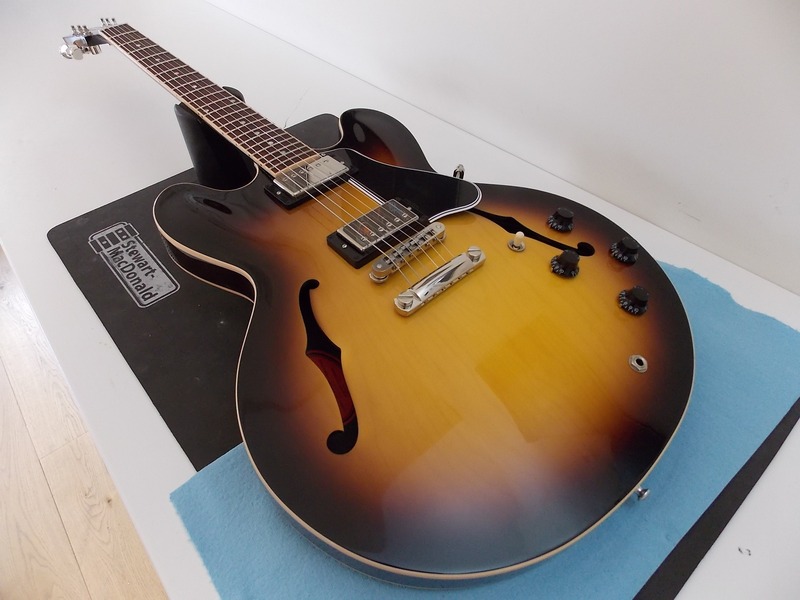 In some cases guitars are not set up properly and getting us to professionally setup your guitar is a very noticeable and inexpensive way of getting the most out of your guitar. If you have any specific requirements for setting up your guitar, i.e. action or string gauges we will set up your guitar accordingly. However if you are unsure of how you want your guitar setup or even what string gauge you prefer then we can offer you assistance with finding the right set up for you. Pro Guitar Setup includes – Action adjustment, truss rod adjustment, adjust the Intonation using a Peterson Strobe Tuner for 100% accuracy, clean & oil the fret board, fret polish, buff & polish your guitar. With electric guitars all switches & pots are cleaned, acoustics are humidified if necessary. A fret dress is necessary if your Electric or Acoustic guitar, has flattened frets from years of playing, flat spots on certain frets and from buzzing that is not related to any other issues, determined during our evaluation. Worn frets not only can cause buzzing but can also create intonation problems. The neck on your Guitar will be adjusted to be as straight as possible on a fretting jig, then we will level the frets and round the frets in using a diamond fret file. Lastly we will sand & polish up the frets, treat the neck, Re String and set up your guitar as per your instructions or to a standard industry specification. A fret job, Acoustic or Electric, is necessary when there is just not enough fret wire left for us to level & round in the frets, determined during our evaluation. When a fret job is necessary, we pull out your old frets, adjust the neck to be as straight as possible, level the fret board, replace the frets either on a like for like basis or with a pre determined fret wire, fret dress the new frets, Re String and set up your guitar. The best way to increase the tone of either your Electric or Acoustic is to replace the nut to bone. Bone is a far superior material for transferring Tone and is much denser than any plastics used, allowing the frequencies to travel faster therefore creating a better tone. Graphite is also a great alternative and is especially good for guitars with tremolo systems due to less friction in the nut. The more noticeable change when changing to Bone is heard acoustically as well as creating more sustain. For this we will take out your old Nut, cut & sand you a new one from a bone blank, file in the strings slots, back file the Nut and then restring your guitar. Replacing the saddle on your acoustic will bring you the most obvious tonal increase, replacing the Nut & Saddle will greatly improve the tone of your guitar. For this we will make you a new Bone saddle, either a Traditional Style Saddle or a B Bump style saddle. The later gives your guitar better Intonation and is highly recommended to get the best tuning possible. We are suppliers of Gibson & Bare Knuckle Pickups for electrics & B-Band, L.R.Baggs, Fishman & K&K Pickups for Acoustic guitars.. Please email or call 01435 812979 for an exact quote for replacement pickups. If you have any problems with your electric hardware from static interference, volume or tone pots not working to wanting to replace/upgrade pick ups then we can cater for any these requirements. 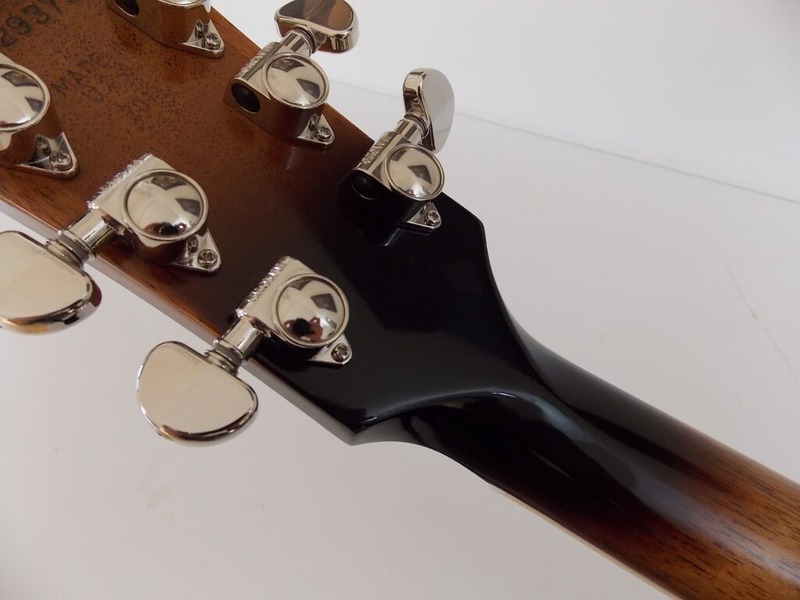 Repairing Broken Headstocks – from £100. 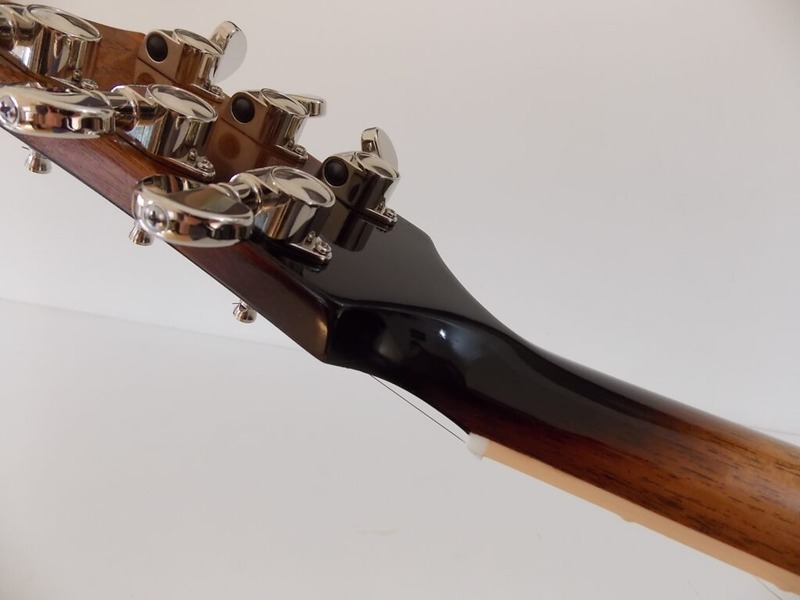 Broken headstocks are unfortunately a common occurance, especially with Gibson’s but any guitar that has a fall will inevitably end up with a cracked or broken headstock. In almost all occasions these can be repaired. Using specific clamping procedures and Titebond wood glue, an aliphatic resin based glue which forms a bond stronger that the wood itself, the repair is structually sound and does not affect the integrity of the guitar. Finishing costs where applicable are approx £50-100 in addition to the repaired headstock/neck.